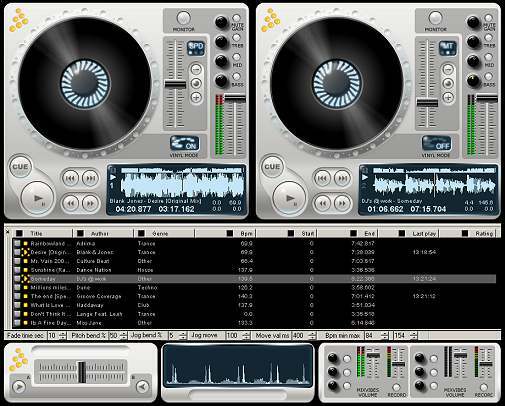 MixVibes is a reliable and proven software used by thousands of djs ALL AROUND THE WORLD. MixVibes Digital Vinyl System users can feel the sensation of vinyl at their fingertips and control mp3 like a world class battlescratch dj. MixVibes DVS requires no special hardware and is easy to install and use. You only need the DVS PACK to control your digital media with one or two turntables. MixVibes DVS supports many kinds of sound configurations: pci, integrated motherboard, usb or firewire sound cards. For output, MixVibes is compatible with multichannel sound system (quad, 5.1 or 7.1) and can manage 2 different stereo audio outputs. Then, MixVibes DVS can support external mixers or headphones monitoring. For input, you need a stereo input line to connect a turntable. 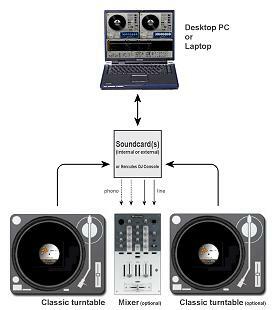 You can connect your 2 turntables in 1 sound card or 2 sound cards depending the number of line inputs. The system can work with only one turntable. MixVibes supports ASIO sound cards and Hercules DJ Console. The latency will depend of your sound cards and system configuration. With Mixvibes DVS you can connect 1 or 2 turntables. With the new optimized audio engine, MixVibes DVS gets the best velocity, the best sound quality and low latency. Our developers have worked hard to obtain a real vinyl sound even at lowest speeds ! position in the vinyl without losing the position of the song. 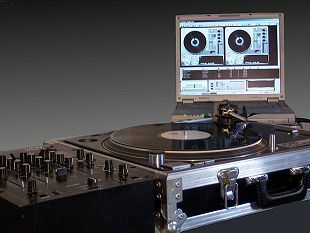 Absolute mode : DJ can change the position of the track with the turntable needle. Also known as needle drop, MixVibes maps the vinyl directly to the position of the mp3.